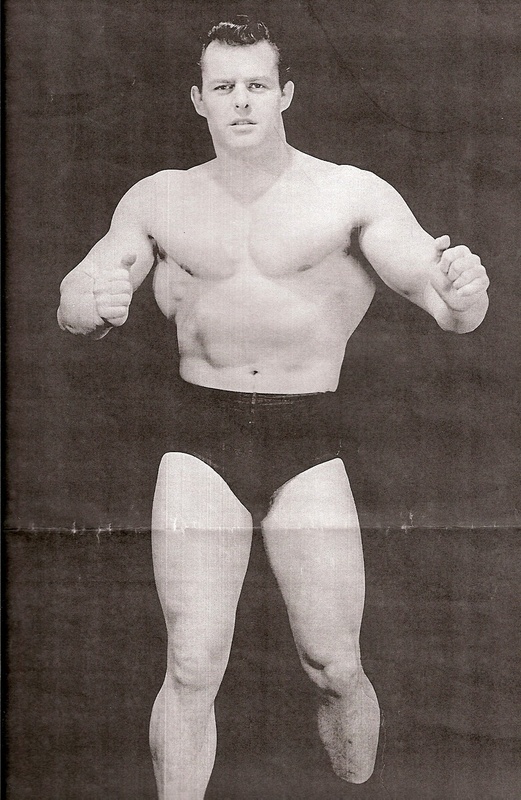 The great body building Champion and former World of Sport wrestling star : PETER DEAKIN died peacefully from natural causes on May 5th 2012 at his home in Penzance Cornwall. 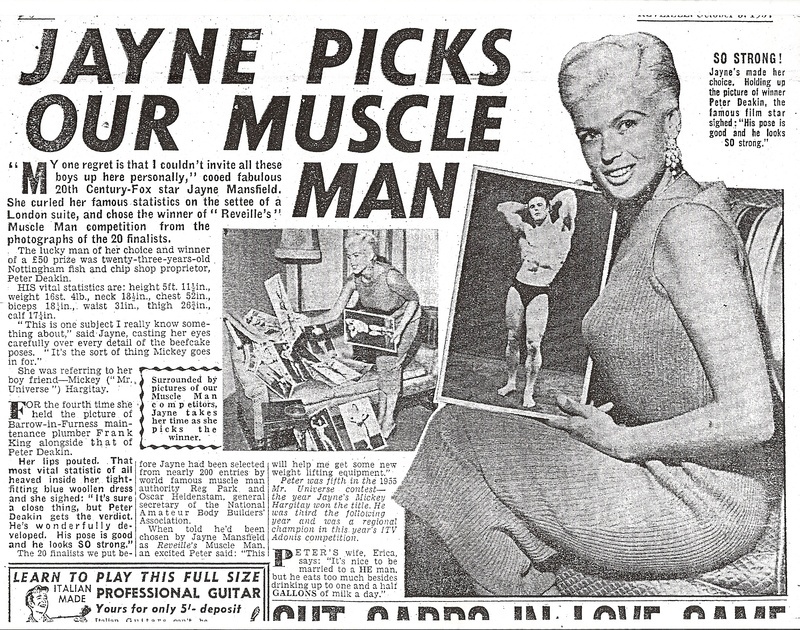 Peter who once took the eye of the International screen siren : JAYNE MANSFIELD was a Mr. Universe contender in his hey day, before turning Professional in the late 50's. He will be best remembered as the only Professional wrestler to successfully sue his employers : DALE-MARTIN PROMOTIONS. In his latter years, he concentrated on building his Business in holiday homes in the West Country. He leaves behind three Daughters, one of whom : NOLA HUGHES is domiciled in New Zealand, yet despite years of searching for her Father, with the help of the Reunion, never got to actually meet him, having only located his whereabouts after his death . 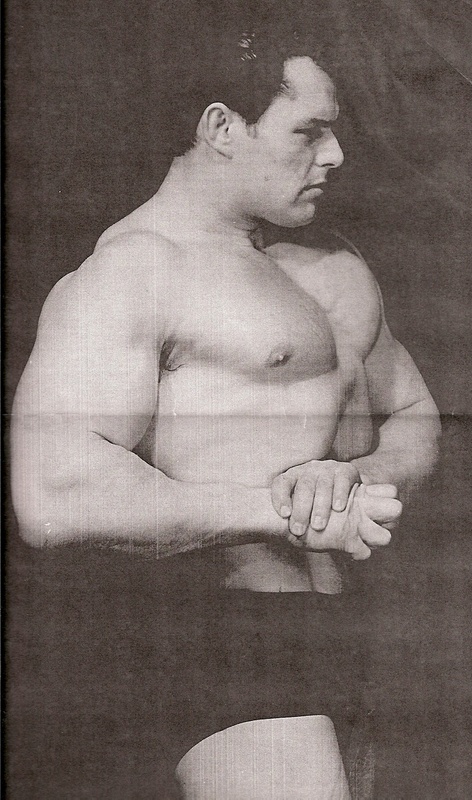 PETER DEAKIN was a fantastic athlete and charismatic wrestler of distinction who visited the Reunion in recent years. He will be greatly missed by all his many friends in the Business, but must now take his rightful place in the dressing room in the sky.